The Greenwood Mobile Hopper Magnet is designed primarily for the food industry where the product is being batch processed. 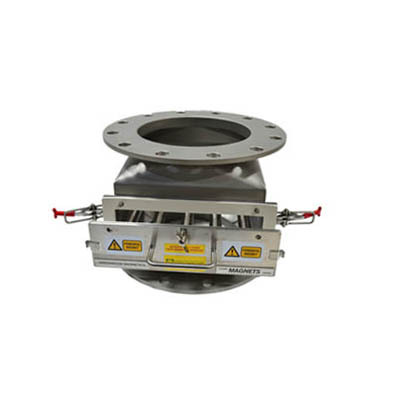 Manufactured from 316 stainless steel to food quality standards, the hopper magnet can be moved around easily to various process locations. 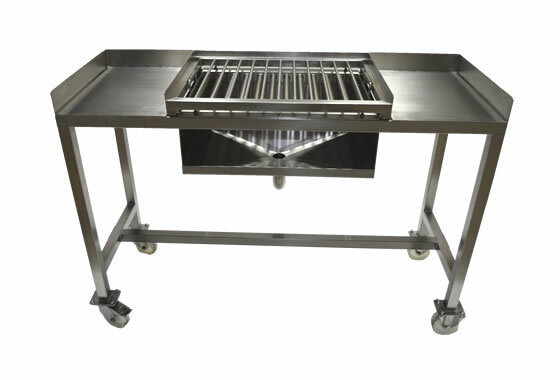 It is designed for various free flowing food ingredients such as additives, flavourings, chopped meat and vegetables. 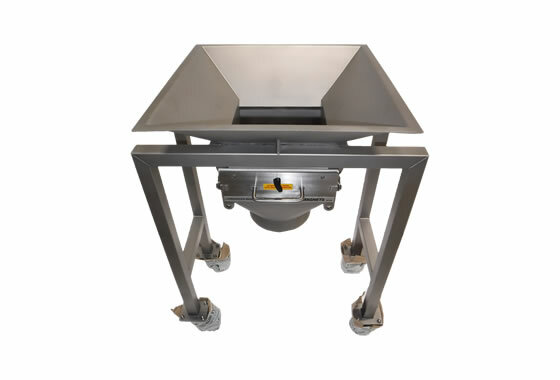 We manufacture the hopper to suit the customer’s batch work, to sit over tote bins and containers as a check before continuing along the process stream or finally bagging up. 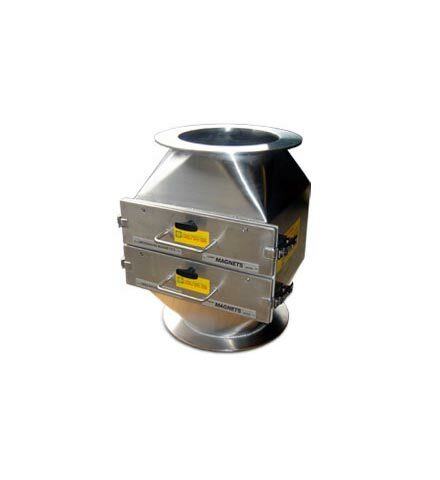 Ideal for production areas where the magnetic hopper can be moved to cover various outlets, the powerful magnetic grid is fixed in secure housing to ensure safe and hazard free use. 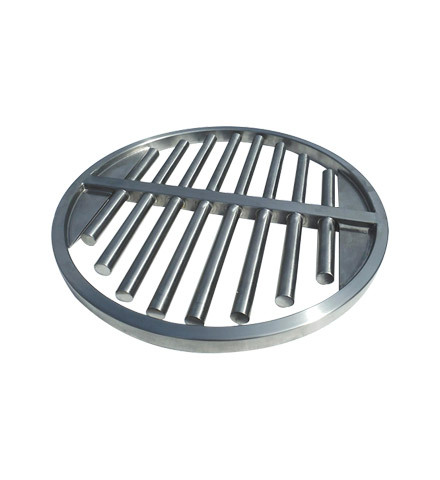 The magnetic grid can be removed easily for cleaning, and the outer housing is designed to be washed down for a clean hygienic environment. 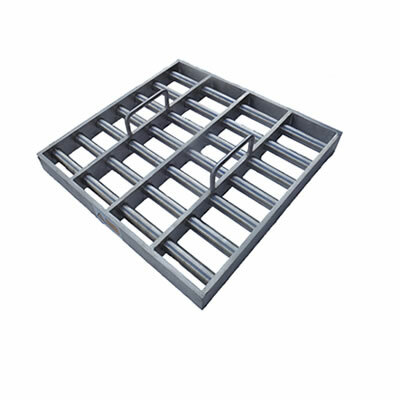 It is designed and manufactured to suit your requirements, and is available in fixed single tube format as in photo 1, or in easy-clean double row format photo 2. 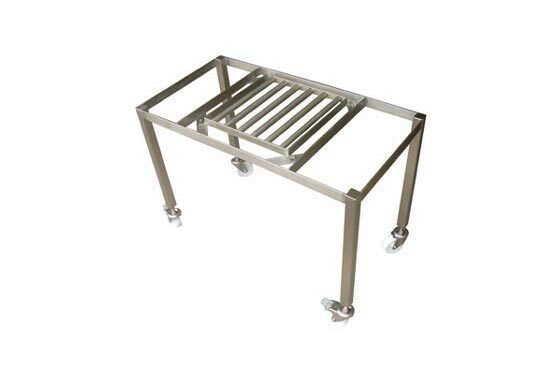 Designed and manufactured for several leading food companies. 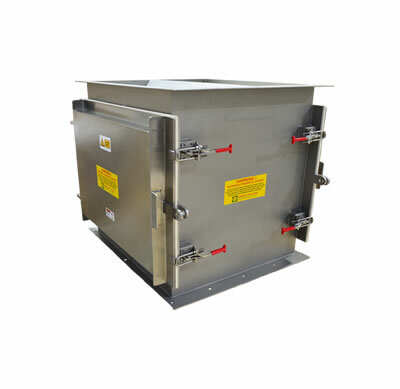 The mobile hopper magnet sits under vegetable and meat slicing chutes, and over the collection tote bins, as a check against broken blades entering the food process. Sweet corn processing with drainage hopper and pipe for brine.